To make up for recession losses, the Postal Service says the cost of first-class stamps will temporarily rise by 3 cents in late January. 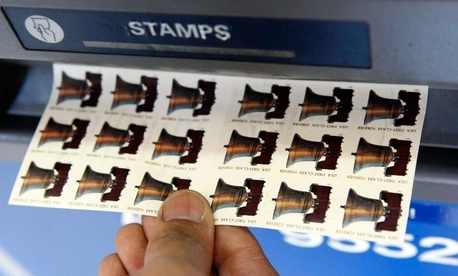 In other words, the price for those non-Forever stamps will increase, but not forever. Are you confused yet? The move was announced Tuesday to help the ailing agency recoup a loss of "$2.8 billion, caused by a substantial drop in mail volume, totaling about 25.3 billion pieces, between 2008 and 2011." First-class stamps will bump up from 46 cents to 49 cents starting on January 26 of next year (364 days after the rate took a one-cent hike from 45 cents to 46 cents). What's different about this change is that it's temporary. The Postal Service lobbied for a permanent rate change, but the Postal Regulatory Commission rejected the request. So how long will the new rate last? Read more on The Wire.